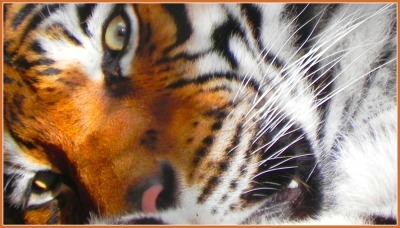 The eyes of the tiger suddenly sprang open. When we first started watchingt the tiger his eyes were closed as if he were sleeping. Suddenly his big eyes sprang open. It was so cool! Watch the video below to see the tiger's eyes open. 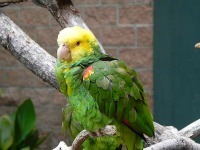 The Charles Paddock Zoo in Atascadero, California is a great place to spend a day. My wife and daughter-in-law loaded up the kids early in the morning and headed out for a day at the zoo and park. The Central Coast Zoo is not a big zoo nor does it have hundreds of animals but it is a quality zoo with some great animals. If you are visiting the Central Coast we highly recommend a visit to the zoo. It doesn't take long to tour the zoo but it is worth your time. We are going to put as many pictures on this page as possible but there is no way to give you the experience of the Central Coast Zoo in just pictures. You have to feel the atmosphere and see the little lake, the swans, ducks and other wild life running wild around the zoo. One of the most exciting parts of their visit to the wild life zoo was feeding the big, colorful swans. 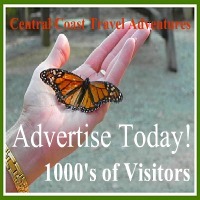 Take a look at this link for more information on the zoo Central Coast Zoo. Cool Video of the Zoo!